Get ready for the Florida front porch life! 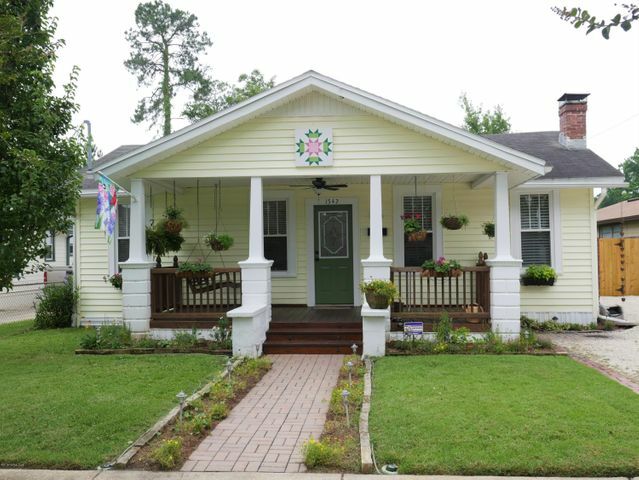 Absolutely delightful 1929 Avondale bungalow in Fishweir school district. This well cared for 2 bedroom, 1 bathroom home has amazing curb appeal and a backyard perfect for entertaining. The kitchen features brand new Corian countertops, and the interior of the home has been freshly painted. You'll love the 'she-shed' in the back that is heated and cooled (perfect for a work at home office! ), the detached garage, plus a bonus garden shed! This bungalow has separate living and dining rooms, interior laundry, and a location that can't be beat! Upgrades include updated electrical and plumbing, exterior insulated walls, thermal insulated E windows, front yard irrigation system, established front and back flower gardens, and much more.